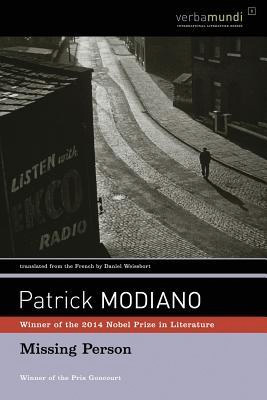 Written by the 2014 winner of the Nobel Prize for Literature, frenchman Patrick Modiano, this brief novel Missing Person takes the reader along the narrator’s journey to learn his own identity. What we know is that early in the Paris occupation, the narrator and several others left Paris. The narrator (presumably) also attempted to escape France altogether. In a sequence of interviews and visits to vaguely familiar locals, the narrator tries to figure out who he is and what happened just prior to his memory loss more than a decade before. By raising more questions than he provides answers, as a reader, you must be content with traveling at the author’s pace for revelation. This is unlike many American novels where the reader can figure things out before the narrator. In Missing Person, the reader knows only what the narrator reveals he understands through his interviews and glimpses of recovered memory. Because it is a pretty short read, I give this novel a 4 out of 5. However, had it been 400 pages instead of 200, I probably would have grown irritated by the style.